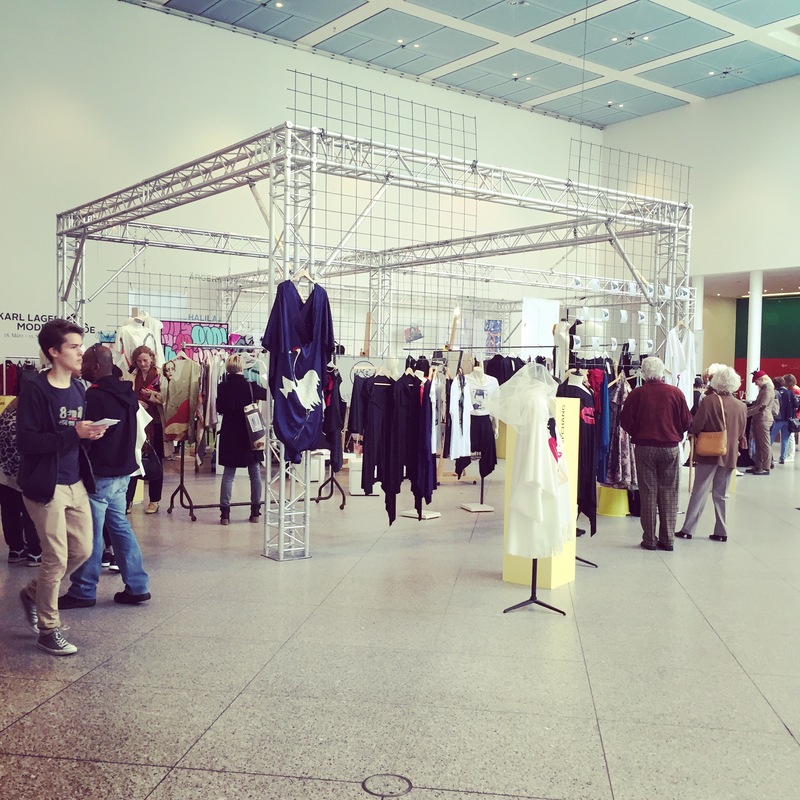 Read all about my faboulus time in Bonn at the Karl Lagerfeld exhibition and a fashion fair with young emerging designers from Germany. 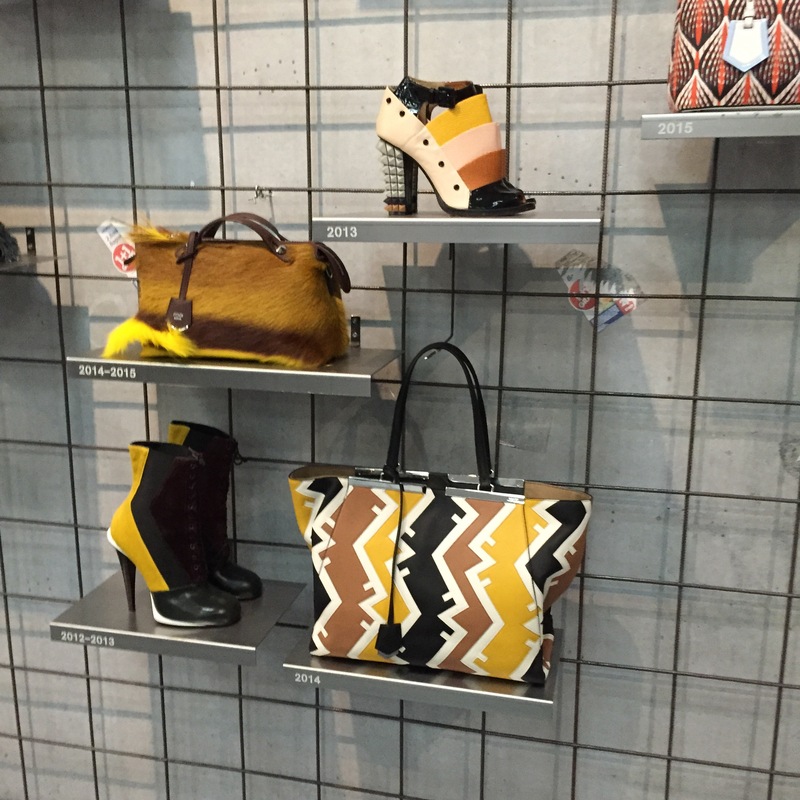 With 126 looks and several accessories the exhibition “Karl Lagerfeld. Modemethode (Fashion Method)” at the Art and Exhibition Hall of the Federal Republic of Germany provides the first comprehensive overview of the fashion cosmos created by the exceptional designer Karl Lagerfeld, thus recounting an important chapter of twentieth and twenty-first century fashion history. 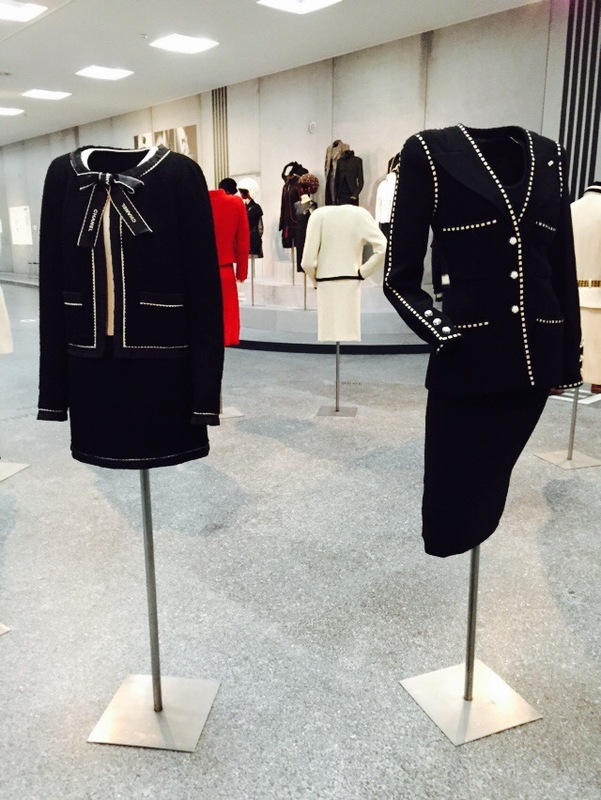 With 62 looks from Chanel, 30 looks from Fendi, 20 looks from Chloé and 14 looks from his own house Karl Lagerfeld the exhibition gives a good overview of Lagerfelds work in the fashion industrie. 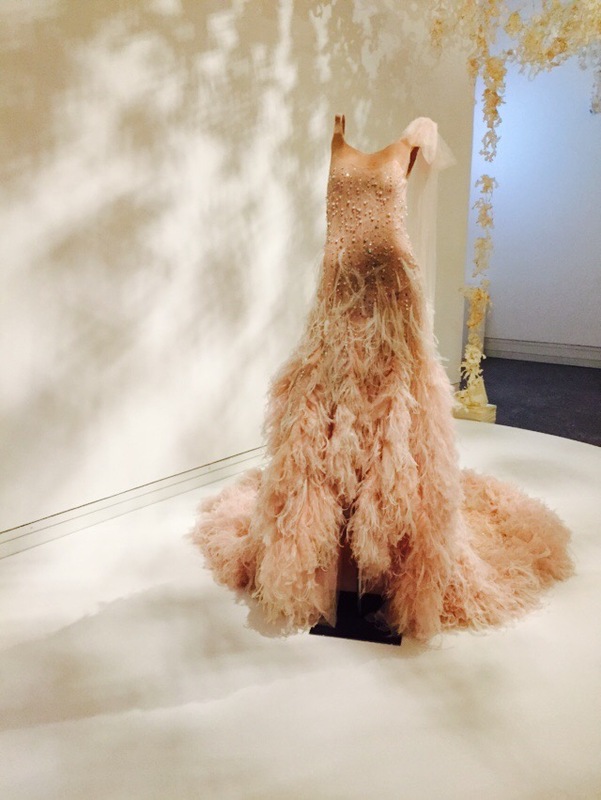 Especially the Haute Couture dresses are magnificent. I enjoyed the Chanel costumes the most and I wish they would included more of those in the presentation. As Chanel is the absolute must-have for every fashion-loving woman the one shown were the most intriguing for me. Since I was a kid and fell in love with a Chanel jacket my grandma owns I am totally in love with the timeless style Coco Chanel invented. What Karl Lagerfeld did with the traditional house suits my personal style ideal even more. 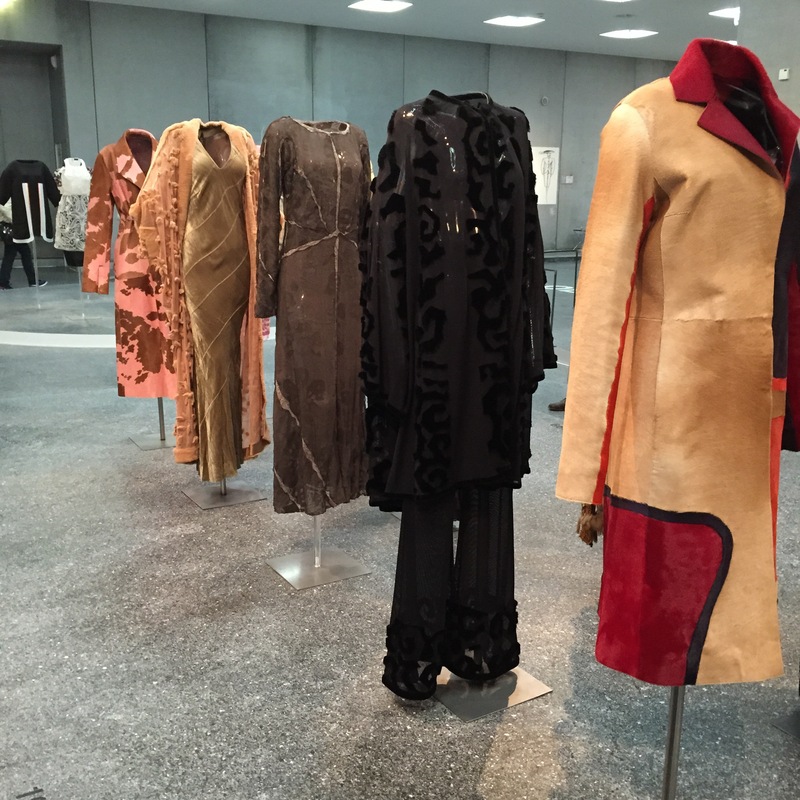 So I can truely say I really enjoyed being in Bonn and I can highly recommend the exhibition for everyone who loves fashion or is interested in our cultural history which is highly influenced by the history of fashion and Haute Couture. In 1984 Karl Lagerfeld founded his own label: Karl Lagerfeld. To this day, he designs the collections himself. His label is affordable and as classy as Lagerfeld himself. I totally fell in love with the two little black dresses in the front row! These two were my favourites from the shown designs. Post Image: Chloé, courtesy Chloé Archive. The couch is the original one photo legend Helmut Newton used 1973 in a shooting for Lagerfelds Chloé collection. 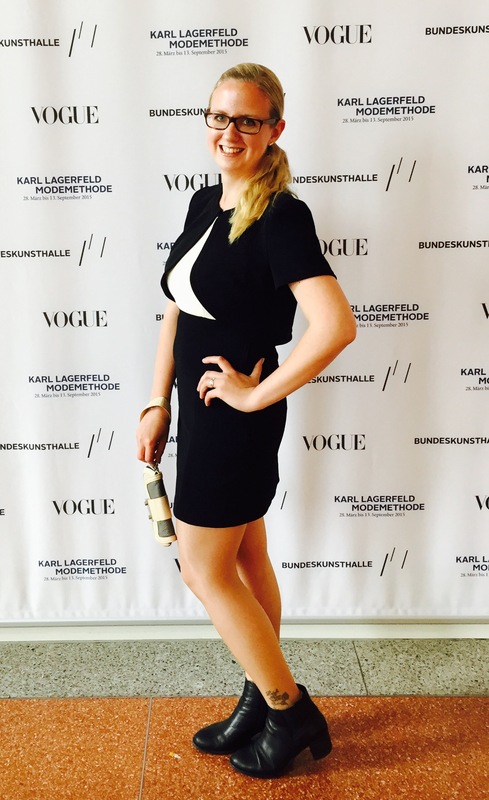 You can read all about the couch and Stefan Lubrina who is in charge of Lagerfelds fashion shows in the special edition magazine Vogue did for the exhibition. 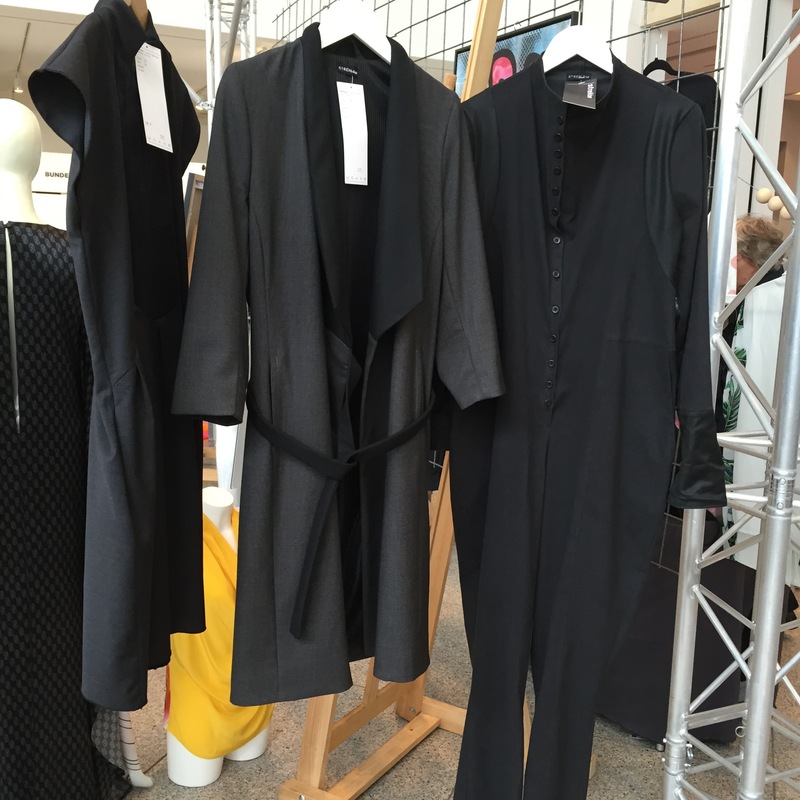 The exhibition was accompanied by a fashion fair for young designers from Germany. It was held in the lobby of the museum. 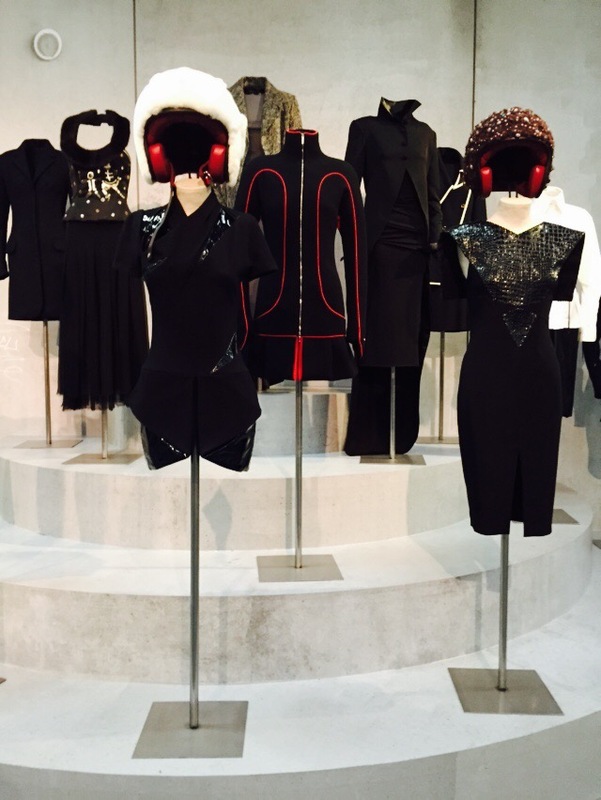 I liked the idea of showing young emerging designers right next to the legendary dresses by Karl Lagerfeld. I discovered two labels I really liked and have to check out in the stores again soon. One was STREHLOW and the other Trinkhallen Schickeria. As a homage to one of my favourite designers I chose a black and white vintage dress my mum bought in Paris twenty years ago and a pony tail of course. 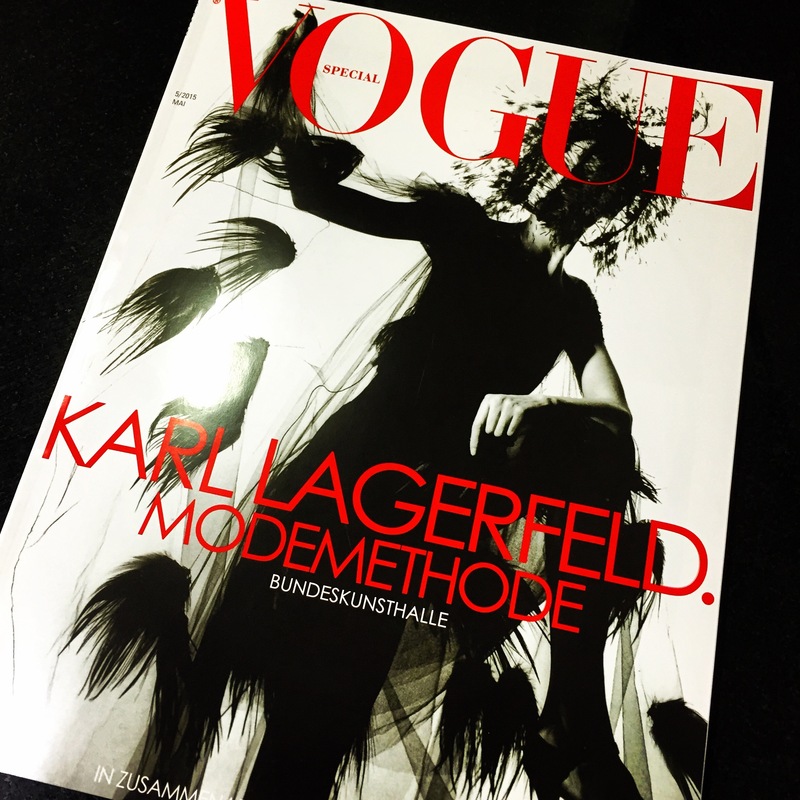 Instead of a classic catalogue Vogue made a special magazine for the exhibition. The German VOGUE special edition contains numerous interviews and portraits, not only on Lagerfeld himself, but also on Lady Amanda Harlech, the exhibition curator and Lagerfeld’s “second pair of eyes,” Eric Pfrunder, “directeur de l’image” at Chanel, who’s worked with the designer since 1983, Stefan Lubrina, set designer for all Chanel and Fendi shows, Silvia Fendi, creative director of the Italian fashion house where Lagerfeld has been head women’s designer for 50 years, Michel Gaubert, Lagerfeld’s music curator for 20 years, and publisher Gerhard Steidl, co-organizer of the exhibition. The catalogue issue also contains a portfolio of Lagerfeld’s drawings and photographs. 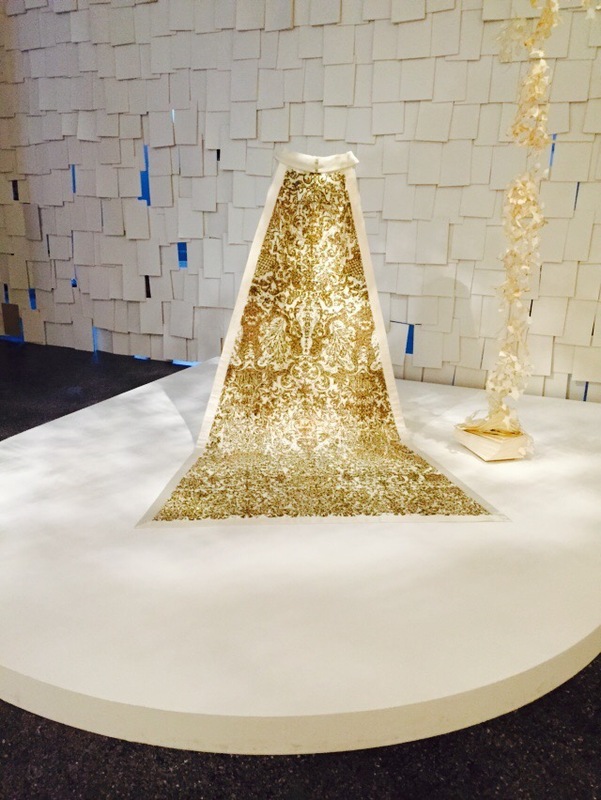 Rounding out the issue features an index of all the exhibits in the exhibition. I can’t wait to read it all.